Lowes Products, laminate flooring sold at Lowe's home improvement stores carries several brands of laminate floors. 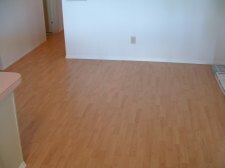 I have compiled a list of various laminate flooring products they sell. Some of the products they carry are not too easy to find in their stores. Some of their products on this page are ones I have searched out on the internet. Others are ones I have observed in their store. The inventory can vary from one Lowe's to another. Swiftlock laminate is manufactured by Armstrong and sold exclusively by Lowes home improvement stores. It is manufactured under the name "Wood Collection" by Armstrong. The Wood Collection consists of 12 colors. You will not find the Swiftlock name at any other retailer. Although Armstrong manufactures other private label products for other retailers, such as Flooring America and Prosource. It may be difficult to cross reference the product between Lowes and Armstrong. Armstrong manufacturers over 160 individual laminate floors. The cost of this product is 1.67 a square foot as I observed at my local Lowes in central Florida. The warranty is for 25 years for residential use. Lowes also carries Swiftlock in a 7mm product. Swiftlock Plus is an 8mm laminate with a 2.2mm underlayment attached to the back. It has a AC rating of 3 and a 30 year residential warranty. Each plank measures 47.6 inches X 8 inches. The cost at my local Lowes is 2.58 per square foot. Swiftlock Plus also carries a narrow plank which measures 48.5 inches in length by 5 inches in width. It also has a 4 sided bevel edge. It is warranted for 30 years. Swiftlock Produces a laminate Plank that resembles ceramic tile and stone. 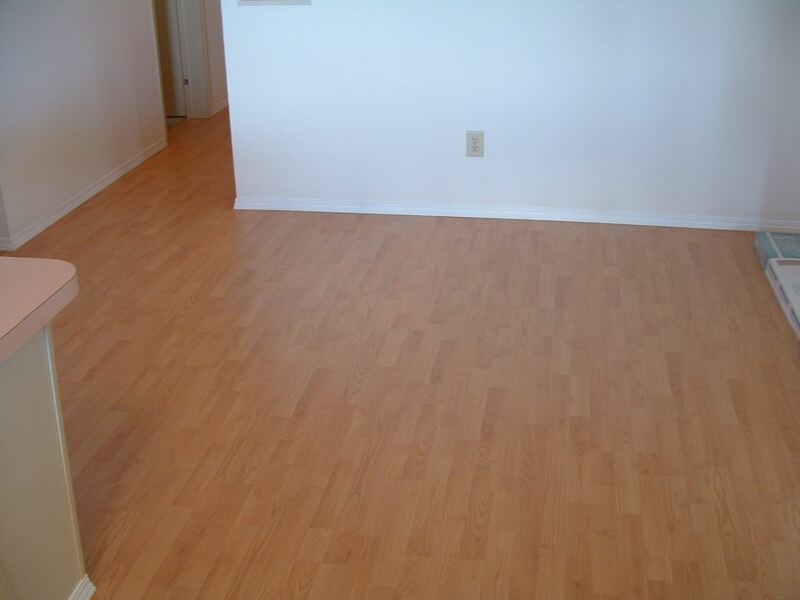 The planks are large compared to your typical laminate flooring which is normally about 8 inches in width. Swiftlock Mediterranean has the appearance of hand scraped wood flooring. The patented Uniclick locking system makes it easy to install without glue. Tough to scratch premium wear-resistant top layer stands up to the toughest challenges. I observed four colors in this line. Lowe's Products, laminate flooring includes the newest Pergo line called Pergo Max. The price range is 2.49 to 2.99 for their 8mm with an attached padding. It carries a lifetime residential and a 5 year light commercial warranty. It has a AC4 rating, AC 5 being the best. The plank sizes are 7 1/2 inch by about 4 feet long and 4-7/8-in W x 47-7/8-in L.
It also has a textured surface with beveled edges. It comes in about 20 different color choices. Lowes laminate products include some products produced by Pergo. These Pergo products are manufactured exclusively for Lowes. You will not find these at other retail stores. This product comes in a 8mm 8 inch wide by 48.4 inches in length, and carries a 25 year residential warranty. ScratchGard Advanced - 30% greater scratch protection. Dual-locking click system with edge sealant for most secure joints. 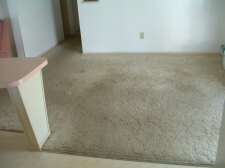 The cost I observed was 1.97 per square foot. Pergo Casual is a 8mm with a 30 year warranty that has the pad attached to the back. The price is 2.97 per square foot. The only Kronotex I saw was the 6mm thick product designed for the budget minded consumer (labeled Surface Source). They only had the one color in stock Harvest Oak which is a medium oak color. This is the thinnest laminate flooring I have ever installed. When I installed this product I found a lot of damaged planks in the boxes. The planks did not fit together tight or flush. It carries a 10 year warranty and costs only .78 per square foot. I wouldn't recommend this flooring for normal use as it is the bottom of the barrel. As they say you get what you pay for. On the other hand it is an inexpensive way to change a room from old worn out carpet to a new and cleaner look if your on a tight budget. As of the beginning of 2013 I've noticed they don't sell a 6mm laminate any more. Their low end products are now 7mm. They probably had too many problems and returns with the 6mm laminate. Surface source 7mm 1.27 per sq/foot, 15 year warranty. Surface source 7mm 1.01 per sq/foot No Warranty shown. Plank size-7.6 X 50.8 inches.